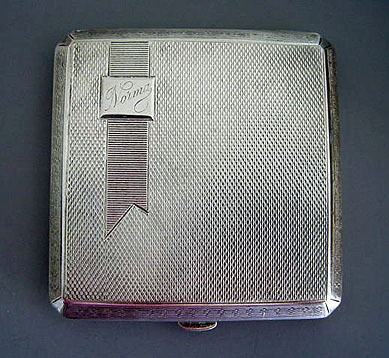 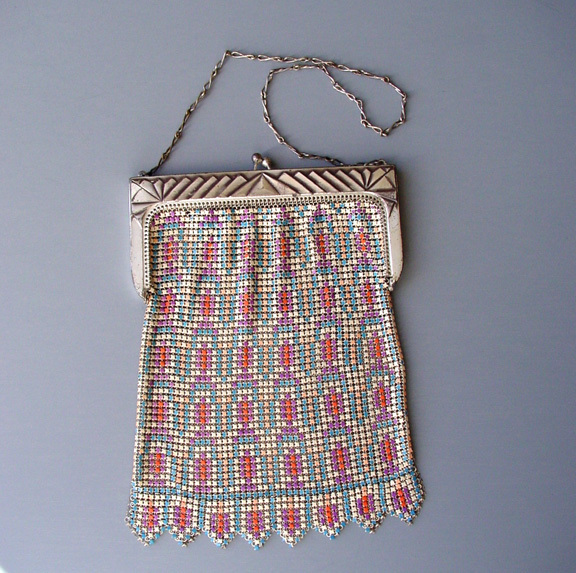 HOBE framed Josef clutch purse. 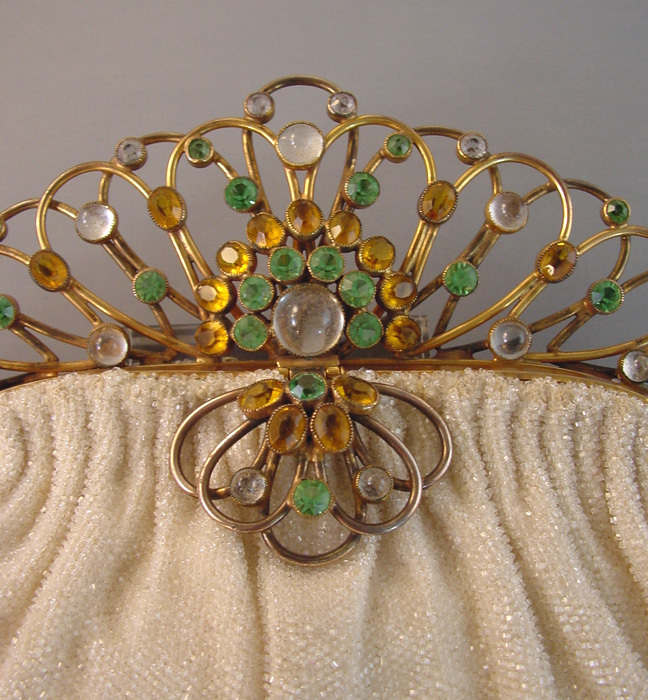 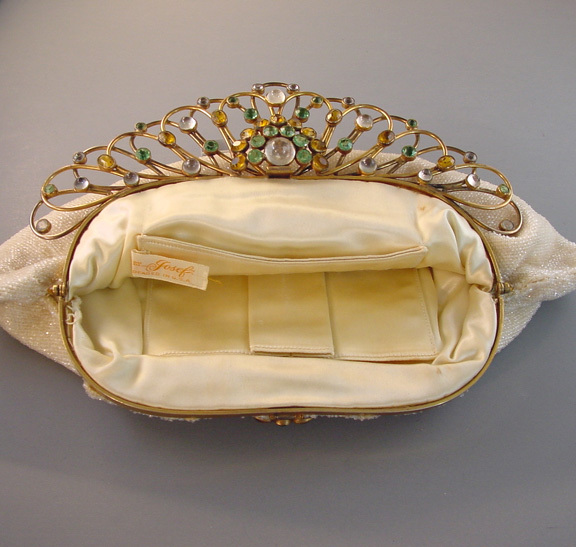 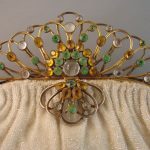 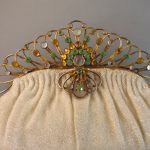 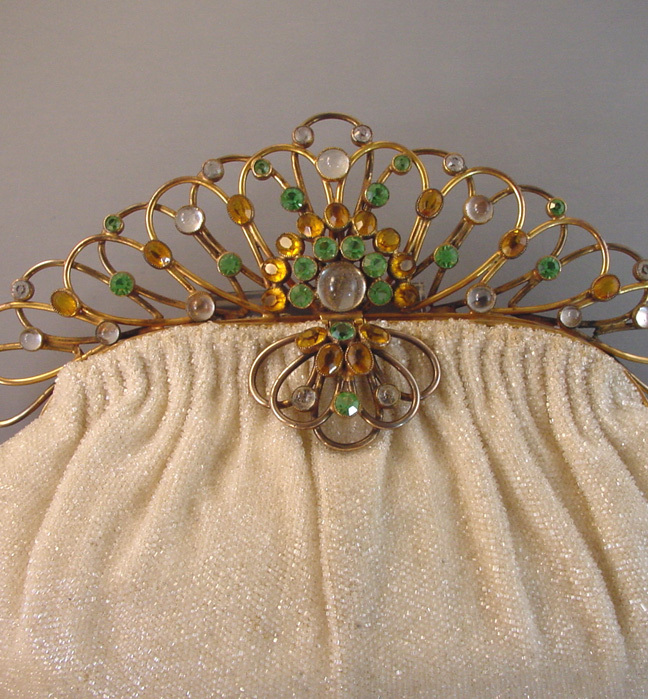 Made with with cream glass beads and a Hobe frame of celery green, topaz and clear rhinestones and cabochons set in gold tone, it is circa 1950. 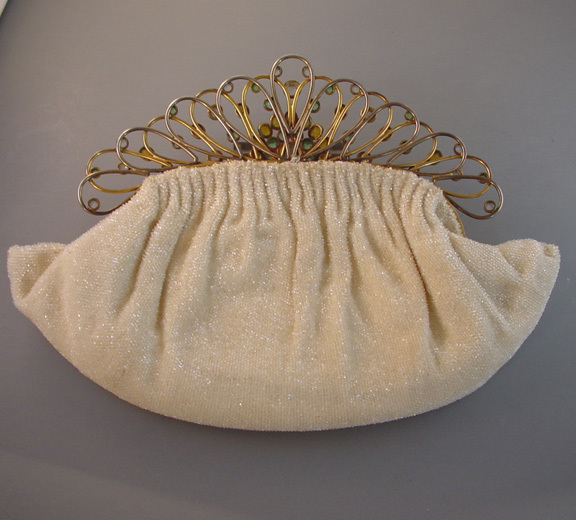 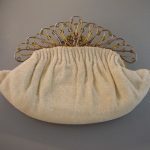 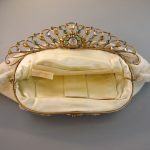 The lining is cream satin with gold edging and it is fitted for a comb, lipstick and cards. 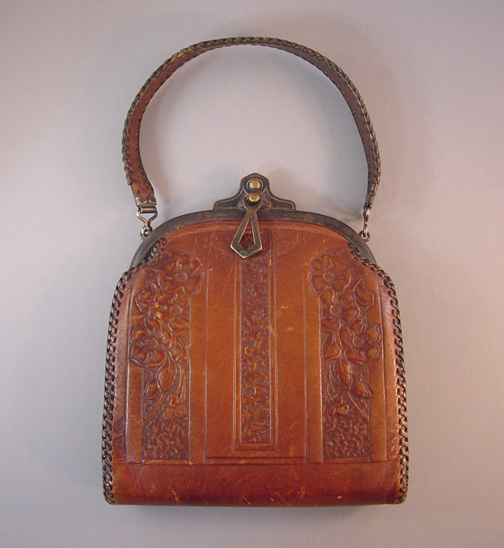 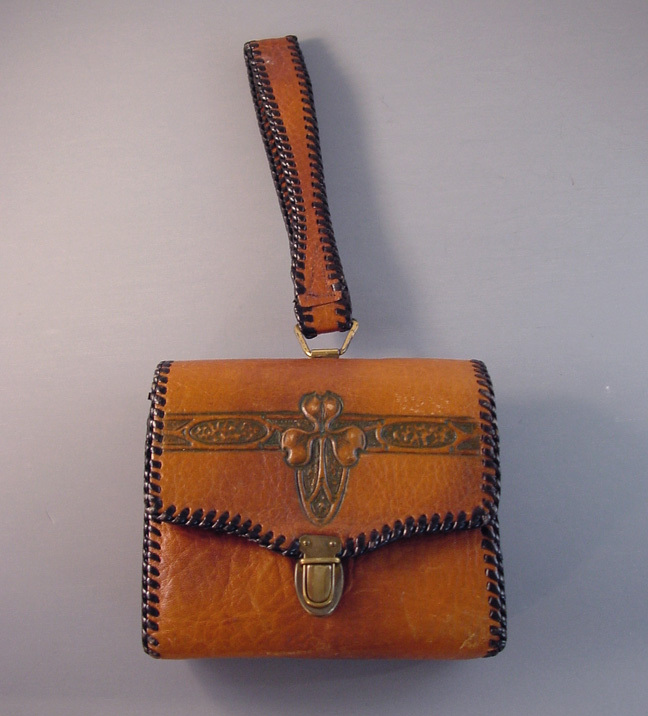 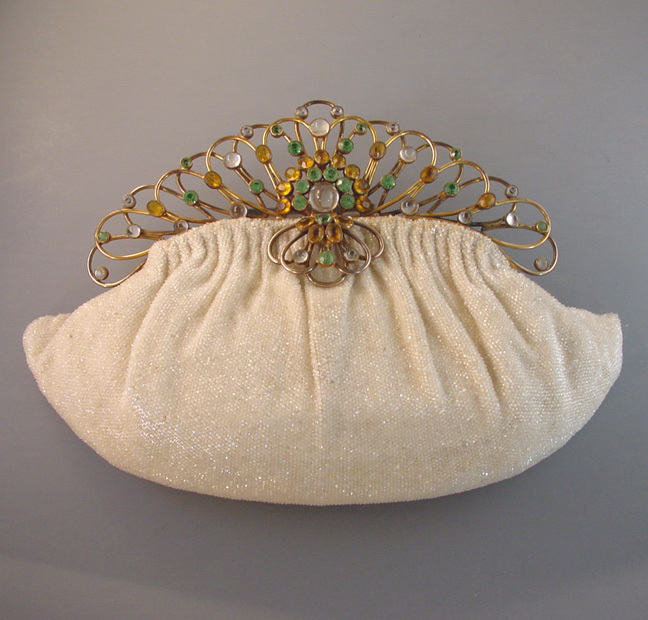 The overall size is 11" by 7-1/2", and it is marked inside "Made by Josef hand beaded in the USA".